Born into a Shanghai literati family,Huang was schooled in Chinese calligraphy, painting, history, literature, philology and philosophy from a young age. These were themes which he explored, mixed and continually challenged in his artistic endeavours. 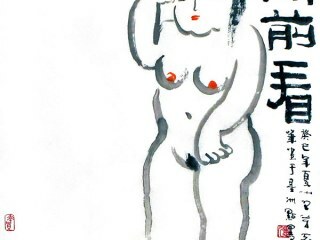 He achieved acclaim during his early life, due to his beloved cartoon character Niubizi, star of the Golden period of Chinese cartoons (1930s contemporary art movement) and during the Sino-Japanese war. Huang Yao himself was a well- known patriotic artist during the national struggle in the Resistance War. Huang Yao’s trademark lively brush strokes are evident throughout his diverse collection of work – from his traditional Chinese genres to more abstract pieces rivalling Western counterparts – revealing his optimistic view of the world. His signature ‘upside down’ calligraphy or chuyun shu (rising clouds writing) captures his childlike spirit and infectious zest for life. 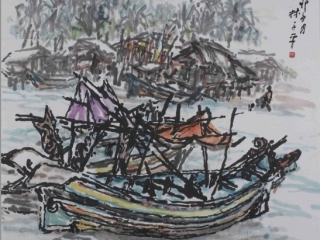 An artist and educator, Huang Yao lived in China, Hong Kong, Vietnam, Thailand, Singapore and Malaysia, which led him to freely paint a diverse range of subject matters that he explored with Chinese ink. 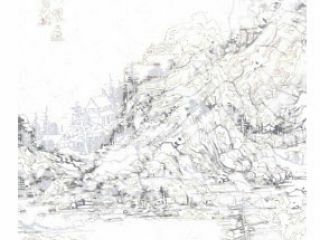 Inspired by the changing vistas, political and cultural climates and life stages, Huang Yao constantly redefined his artistic language, enabling us to categorise his vast body of work into three distinct periods: cartoon, scholar and painter periods. It was only after his death in 1987 that his family, and the world, began to realise the scope of his work and discover the breadth of his talent. “Huang Yao: Malaya’s Remarkable Guest”, National Visual Art Gallery, Kuala Lumpur, Malaysia. “Rediscovered Talent: Huang Yao - Cartoonist | Scholar | Painter”, Shanghai Art Museum, Shanghai, China. “Exhibition in Commemoration of Huang Yao”, Soka Gakkai, Kuala Lumpur, Malaysia. “Huang Yao Retrospective”, Singapore Art Museum, Singapore. “Huang Yao’s Calligraphy and Paintings”, Selangor Chinese Assembly Hall, Kuala Lumpur, Malaysia. 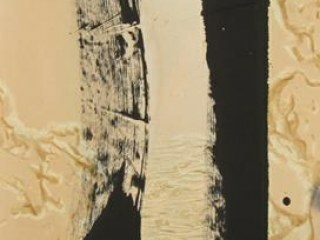 “Huang Yao Retrospective”, Malaysian Institute of Art, Kuala Lumpur, Malaysia. 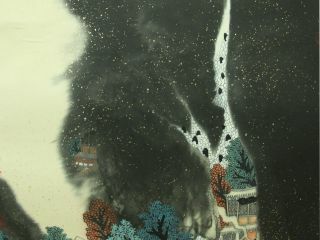 “Huang Yao’s Calligraphy and Painting”, Art House Gallery, Kuala Lumpur, Malaysia. “Huang Yao: Painting on Pottery”, Association of Chung Hwa High School (Seremban) Alumni, Kuala Lumpur, Malaysia. 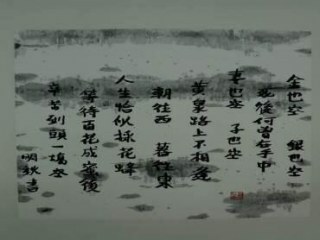 “Huang Yao’s Calligraphy and Paintings”, Malaysian Writers Association for Scholarship Funds, Kuala Lumpur, Malaysia. “Huang Yao’s Art”, Bethlehem Lions Club, USA. “Huang Yao’s Art”, Moravian College, Bethlehem, Pennsylvania, USA. “Folklore, Calligraphy and Art”, Art House Gallery, Kuala Lumpur, Malaysia. “Huang Yao: Exhibition of Eastern Paintings”, East & West Art, Melbourne, Australia. “Niubizi Education Cartoons”, Merdeka Trade Fair, Petaling Jaya, Malaysia. “Niubizi Education Cartoon Exhibition”, ChinWu Stadium, Kuala Lumpur, Malaysia. “Huang Yao: Cartoons, Calligraphy, Paintings”, Organised by the Chinese Cultural Organisation, British Council, Singapore. 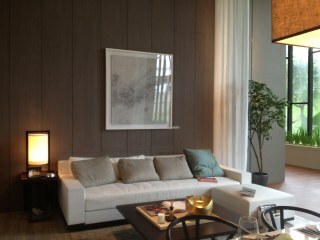 All proceeds from sale were donated to the Singapore Overseas Chinese Creche. “Niubizi in Hong Kong and Words of a Child”, Hong Kong. “The Contradiction Collection and the Vietnamese Scenes”, Guangzhou Restaurant, Guangzhou, China. “The Contradiction Collection and the Vietnamese Scenes”, Zhongshan Library, Guangzhou, China. “The Contradiction Collection and the Vietnamese Scenes”, Junri Building, Xingwen Bank, Kunming, China. Exhibition in Kunming, China in September. “Kunming in Cartoons, Guilin in Cartoons and Others”, Guiyang, China. “Chinese People in Wartime”, YMCA, Kunming, China. Proceeds to build Wu Hua Middle School Dormitory. “Kunming in Cartoons and Guilin in Cartoons”, Provincial Party Headquarters, Kunming, China. Sponsored by Returned Veterans of Overseas Wars. “Chongqing in Cartoons, Guiyang in Cartoons, Guilin in Cartoons, The Secondary Capital in Cartoons”, City Party Headquarters, Guilin, China. Proceeds for the maintenance of orphanages. “Guiyang in Cartoons” or “Scenes of Guizhou”, Guiyang, China. Proceeds donated for the city’s art and culture fund. “Chinese People in Wartime”, Guiyang, China. Proceeds donated to the homeless. “100 Longevity Deities”, Guiyang, China. “Niubizi Digging War Trenches”, a play by An Er, China. “Niubizi Resisting the Enemy Cartoon Exhibition”, Chongqing, China.